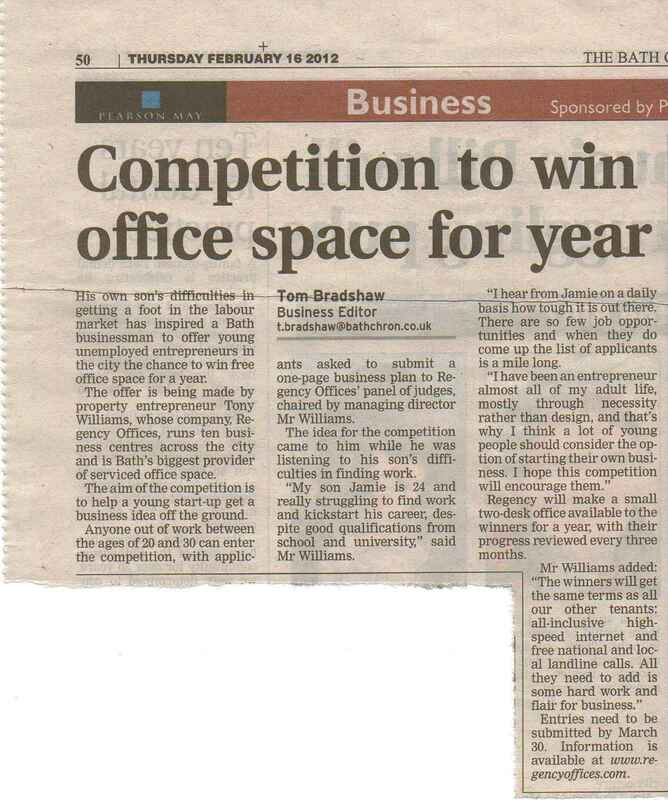 Great piece in the Bath Chronicle this week about our new competition for young entrepreneurs. We are offering a free office for a whole year to any unemployed person or team under the age of 30 who comes up with a great business idea. We’ll keep you posted about future developments. Clink, clink, it’s culture time! 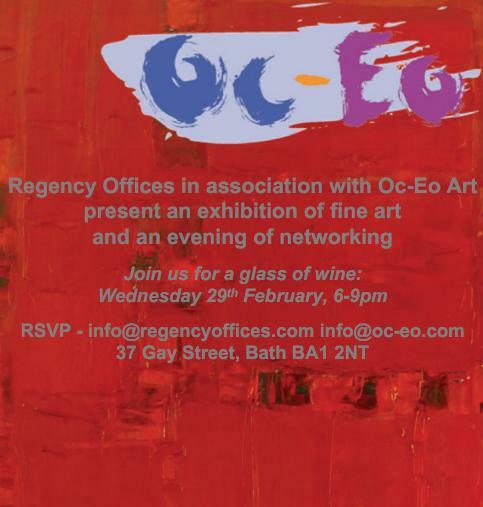 We are staging this lovely evening in association with our friends at Oc-Eo Art. We’ve made the shortlist for the Bath Life Awards! We are proud to announce Regency Offices has made the short-list for the prestigious Bath Life Awards for 2012. 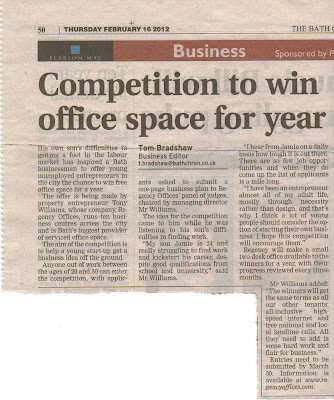 We are one of six local businesses competing to win the Professional Services category. The winners will be announced at a gala evening on Thursday February 23 at the Assembly Rooms. The awards are staged every year by Bath Life magazine, with the aim of high-lighting great local businesses across a range of categories. It would be a great honour for us to win an award, and quite a coup too as it’s the first year we’ve entered. Wish us luck please!